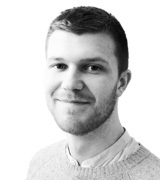 The Jesus test: where would he stand on the issues of the day? 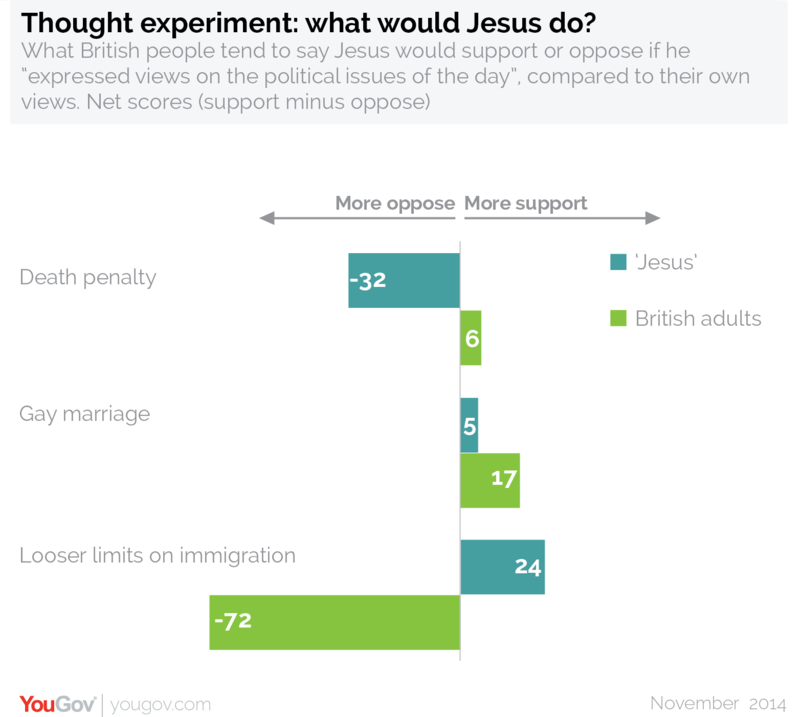 November 26, 2014, 11:49 a.m.
New YouGov research poses a thought experiment to British adults: if Jesus expressed political views on the issues of the day, what issues would he likely be for and what would he oppose? Comparing the views that people hold themselves with what they imagine Jesus would think suggests interesting insights as to how virtuous, or at least Christian, they consider their own political views to be. On a policy question such as nationalisation of the railways, the net proportions who support and oppose it in the public are similar to the proportions who think Jesus would support and oppose it, suggesting that it is not considered a particularly moral issue. However, views of what Jesus would do are very different from the public&apos;s own view when it comes to immigration: where 77% of British people say immigration limits should be tighter and only 5% looser, Jesus is imagined as favouring looser restrictions by 39-15%. On the death penalty the pattern is the same, with the public tending to support it by 45-39%, but Jesus imagined as being in opposition by 49-17%. On the issue of gay marriage, the British public maintain that Jesus would be in favour of it - although to a lesser degree than the public are themselves. As of May last year, voters were in favour by a margin of 54-37%, while Jesus is thought to only slightly support it by 35-30%.